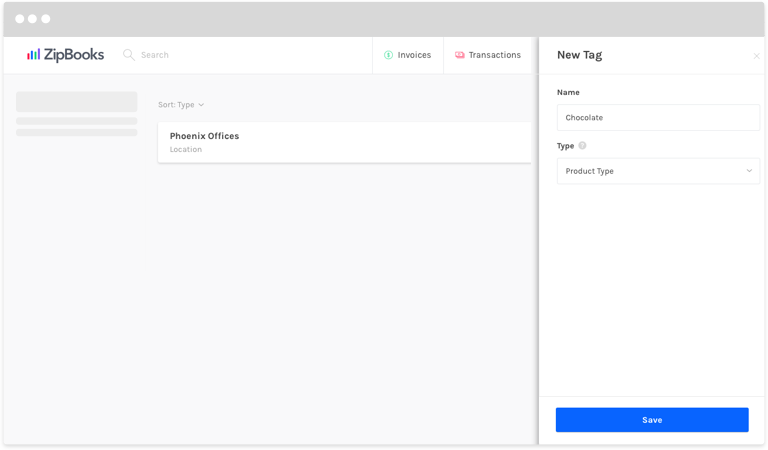 ZipBooks lets you tag your transactions so that you can easily generate reports based on those tags. You can tag based on customer, vendor, and invoices that exist in ZipBooks. Create custom tags for any other type of variable like product line, location, or anything else you need to keep track of. Click on Tags in the box on the left. Your list of tags will appear. To add a new one, click on the round green ‘+’ button toward the top right corner of your screen. Enter the Name of the tag. Choose the Type of tag you are creating, like Location or Business Unit, or add a custom type. You’re set to go! Now you can tag your transactions.